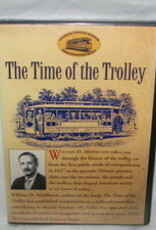 On March 15, 1997 Mr. Middleton was guest speaker at the Winterthink '97 conference sponsored by the Seashore Trolley Museum in Kenneunkport, Maine. The Seashore Trolley Museum is the world's oldest and largest museum of working trolley cars. This presentation was recorded by member Edward Dooks and the pictures converted into this video. The production of this video is totally volunteer labor. All proceeds from the sale of this video go to the Seashore Trolley Museum. Illustrations for this presentation are largely from The Time of the Trolley, by William D. Middleton. 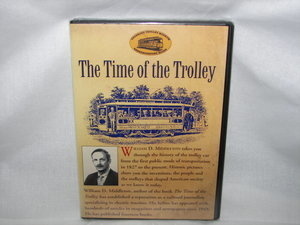 William D. Middleton takes you through the history of the trolley car from the first public mode of transportation in 1827 to the present. Historic pictures show you the inventions, the people and the trolleys that shaped American society as we know it today.